If you absolutely positively have to have an Apple wrist computer clamped to your arm by tomorrow, well, you should’ve pre-ordered. But if you didn’t, hope is not lost! (Yet.) 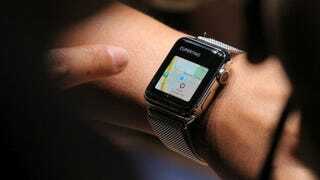 Although Apple isn’t selling watches off the shelf in its retail stores, a small number of luxury boutiques are. It would appear that at least five of the most glittering and upstanding shiny-thing stores — Maxfield, LA, Dover Street Market in London and Tokyo, Colette in Paris, 10 Corso Como in Milan, and The Corner in Berlin — are going to be selling watches to walk-ins.